So I noticed our item enclosures were getting capped at one per feed item. That's a problem because some entries might include multiple enclosures (or attachments). I knew the problem had to be on Feedburner's end because our source feed was still showing multiple item enclosures. 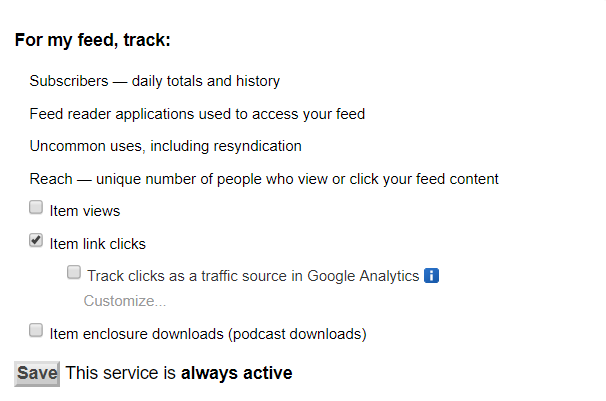 Go to Analyze > Configure Stats and uncheck "Item enclosure downloads (podcast downloads)". Then go to the Troubleshootize tab, scroll down and click Resync Now. Note: This will not work if SmartCast™ is activated.